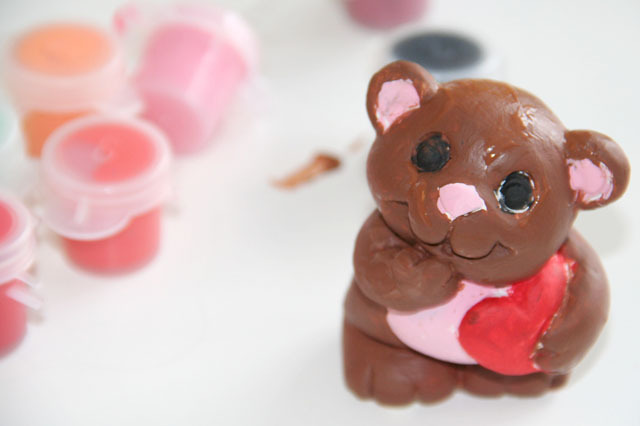 Today, I am inspired by all things sweet and cute to celebrate "love" and baby's first Valentine's Day. It doesn't have to be anything too elaborated. When it comes to this kind of celebration, the detail that I keep in mind is the opportunity to take a beautiful picture of my baby, and create a memory that could last forever, especially considering that babies are babies only for one year. Ahhh!! ...the baby stage goes away so fast!! I like to keep it simple, but still original, unique!! 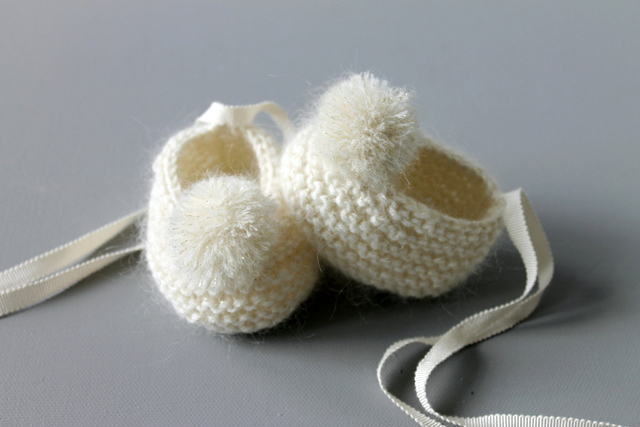 ...So, how about a personalized onesie with matching booties, a delicate headband, and a small wooden rattle or a soft owl, as something to grab?? ...Wouldn't this combo make the case for seriously gorgeous pictures?? I think it would!!... Don't you agree?? 1:: Cocolo Heart Shaped First Toy by Mastro Geppetto, available here. 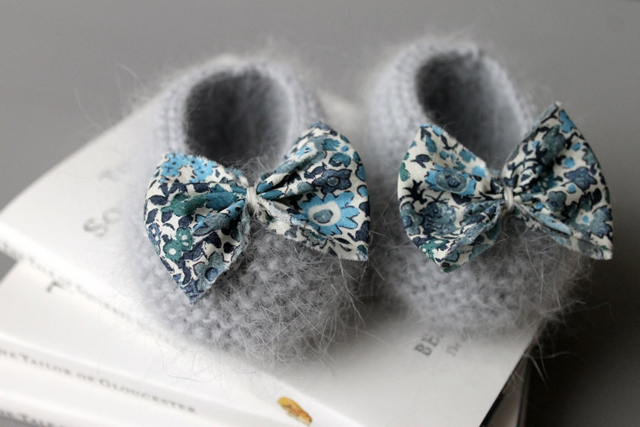 2:: Baby's Felt Shoes by From Anna with Love, available here. 3:: Henry the Owl Musical Box by Esthex available here. 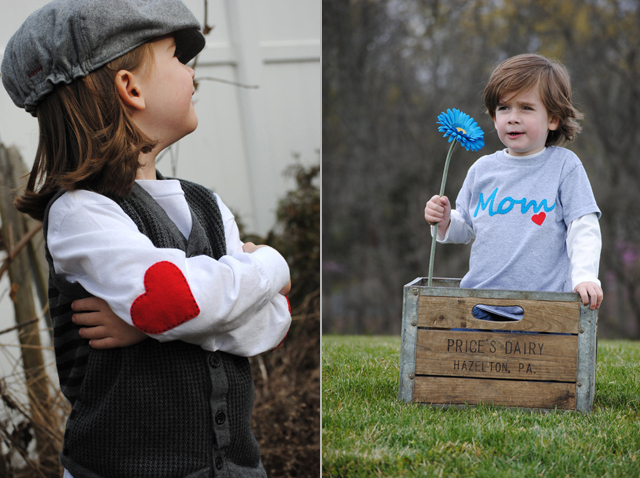 4:: Little Love Onesie, organic and personalized, by Morado Designs, available here. 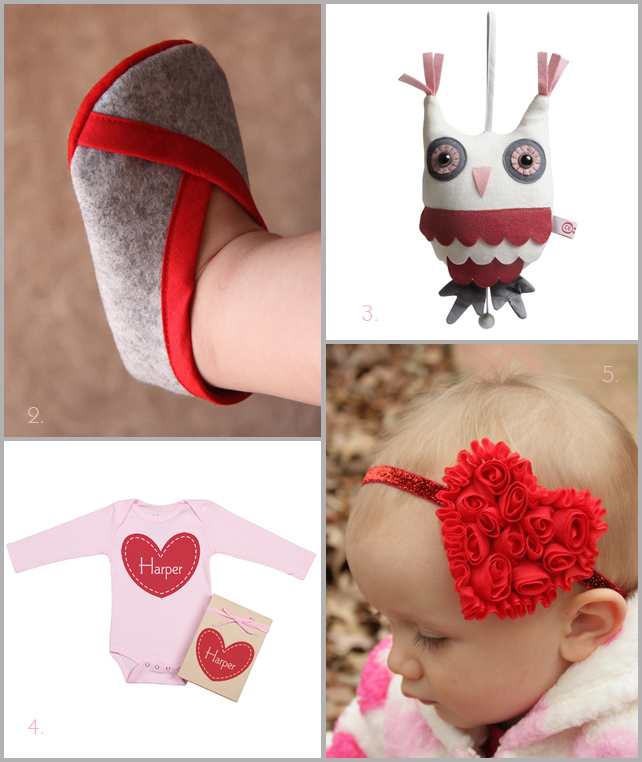 5:: Valentine's Baby Girl Headband by Little Pearl Boutique, available here. Today is National Puzzle Day in the US, a celebration meant to be enjoyed by anyone who feels like giving his or her brain a little extra exercise. Any kind of puzzle is included in the category, from jigsaw puzzles, wooden puzzles, crossword puzzles to sudoku, and even the Rubik's cube. 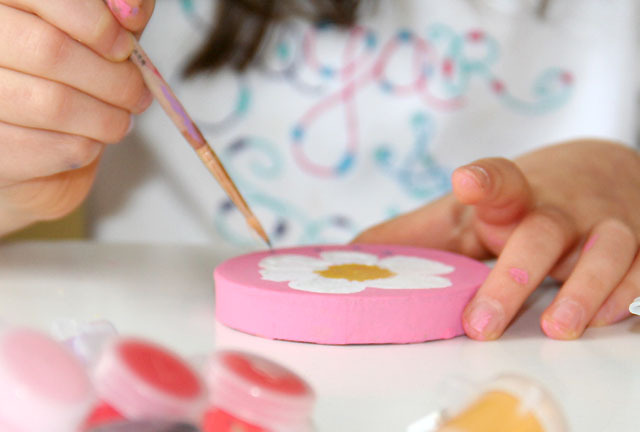 It doesn't matter what kind your favorite is, the important element here is that you challenge yourself or your kids, to do something different and entertaining, while thinking and having fun. 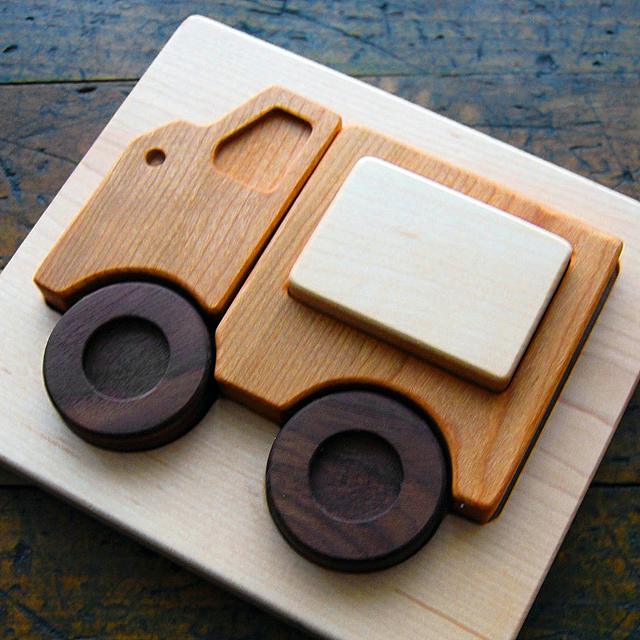 My favorite puzzles for young children are the wooden ones, especially those that are ecofriendly and handmade. 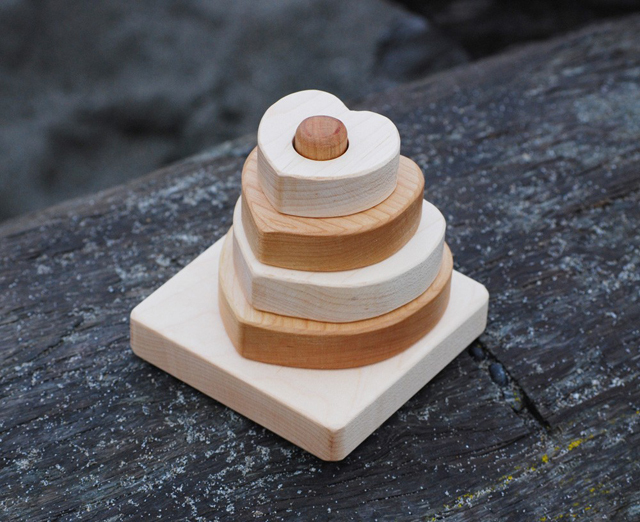 I recently discovered Manzanita Kids, a really nice and original collection of wooden toys that includes several sets of blocks, stacking toys and puzzles. 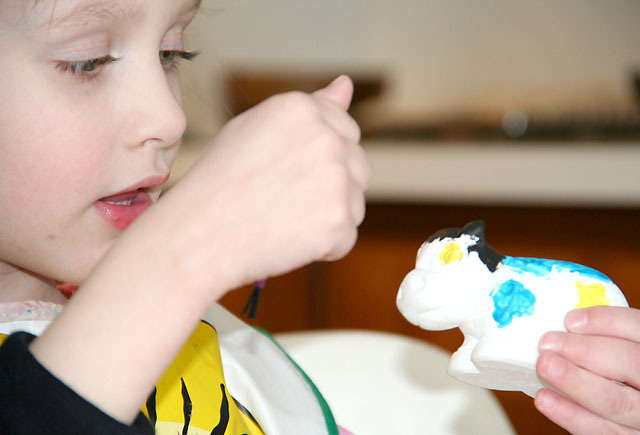 Manzanita Kids toys are made by a Seattle family that truly believes in sustainability, making a safe product that will enrich children's life and add to the beauty of their homes. 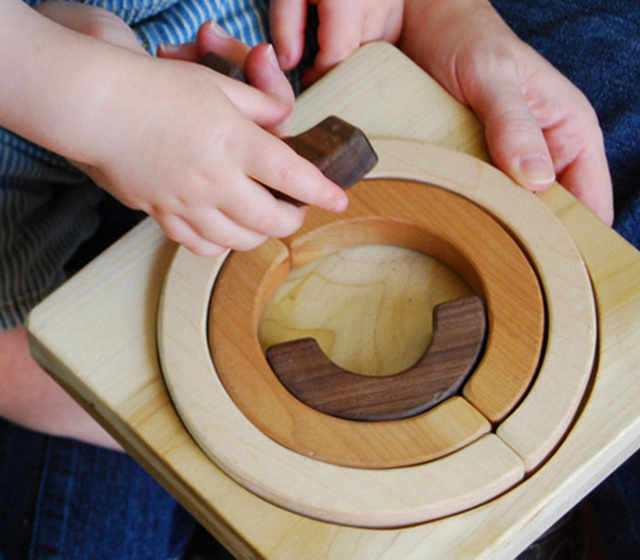 Their puzzles are made of a gorgeous combination of top quality American maple, cherry and walnut wood. 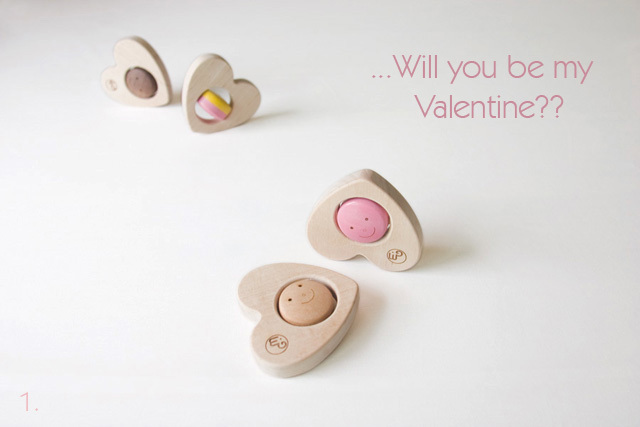 Each piece is satin smooth sanded and polished by hand, using a blend of beeswax and organic jojoba oil. Definitely, an original work of art created to last and pass to the next generation... I'm loving them all!! Are you ready to give National Puzzle Day a try and play for a little while? Which one is your favorite type of puzzle? ... Well, whichever you choose, get it done and have fun!! All pictures provided by Manzanita Kids. For a couple of hours, we forgot about the weather and indulged in their popular concoctions. 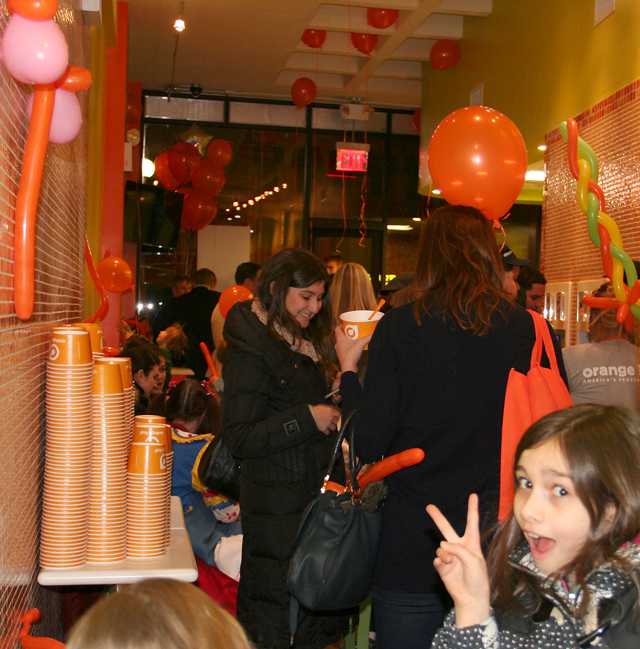 Of course, frozen yogurt is not a new concept in a city like New York, but we enjoyed the idea of a self-serve, choose your own topping dessert, especially for little ones. 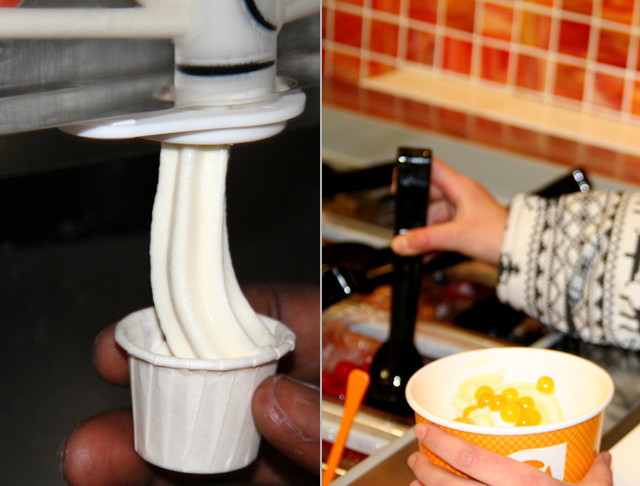 They may choose what flavor or flavors they want in one cup, add as many toppings as they could imagine, put their own whipped cream on, add some sauces, put it on a scale, and then, pay by the weight, rather than by the amount of toppings or extras. We liked that!! It could get expensive if you need to fill up your cup, but what a kid usually eats is often a lot less than the usual portions served somewhere else... Here, you can manage the portions!! Mix, match and have a ball!! 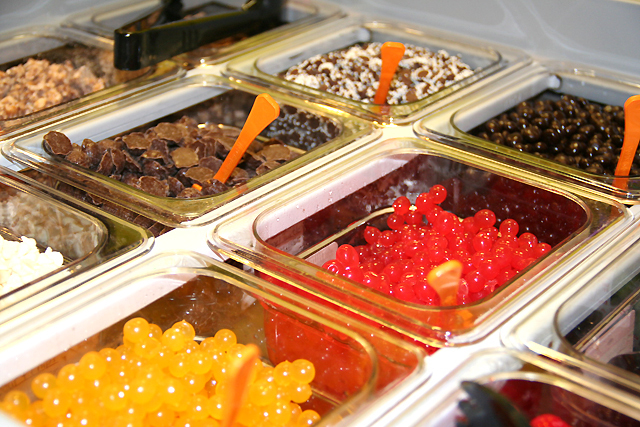 Out of Orange Leaf's variety of frozen yogurt, I was nicely surprised by the many choices, not only of traditional and original flavors, but also of their custom options, sugar-free, gluten-free, and yes...oh, yesss!! lactose free. As a lactose intolerant individual, you have no idea how much I appreciate that gesture... The Pina Colada (pineapple-coconut) mix was fantastic, creamy, flavorful, not so sweet, and easy to digest... Awesome!! 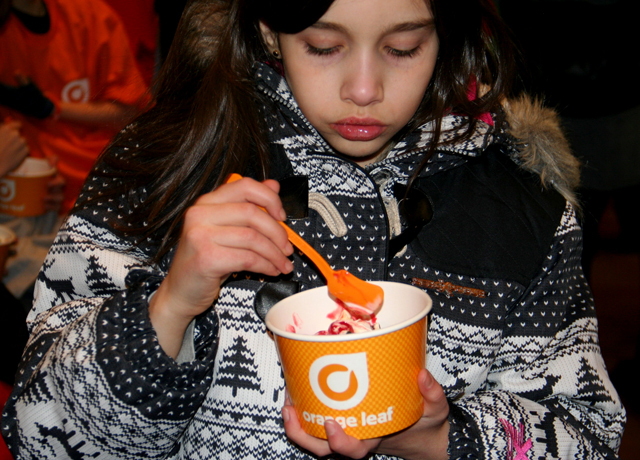 Orange Leaf NYC is located at 608 Second Avenue - between 33rd & 34th Street. 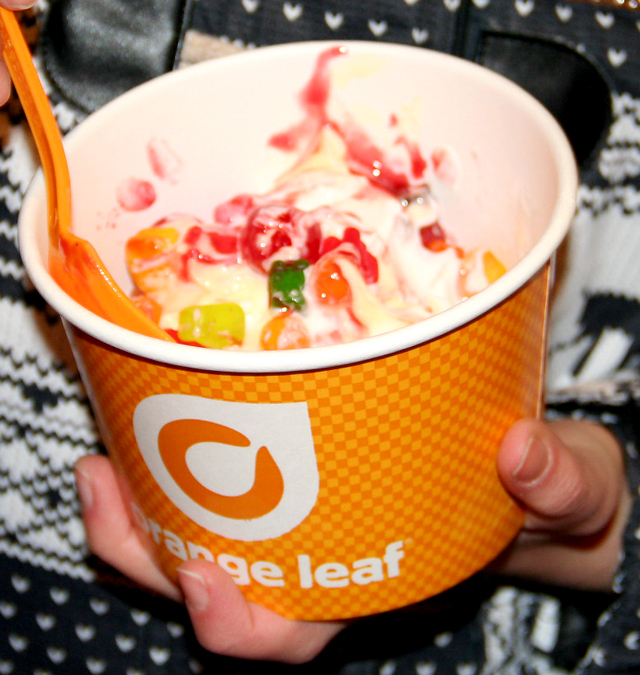 For Orange Leaf's other locations across the US, check their website. Awesome Picks for Babies: Hand Knit Cashmere Bliss with "Fall in Lo"
Even though my mind is all set into spring and the upcoming collections for children, I keep forgetting that it is still winter, and the gelid temperatures of the past few days have done a great job to remind me. It is much colder than the usual and so, I've found myself forced to pull all kind of winter layers out of the closet, while craving for hot chocolate and bowls of soup. I just want to cozy up and entertain my eyes with beautiful things, soft and warm, like these ones that I recently discovered at French Etsy's shop, Fall in Lo. 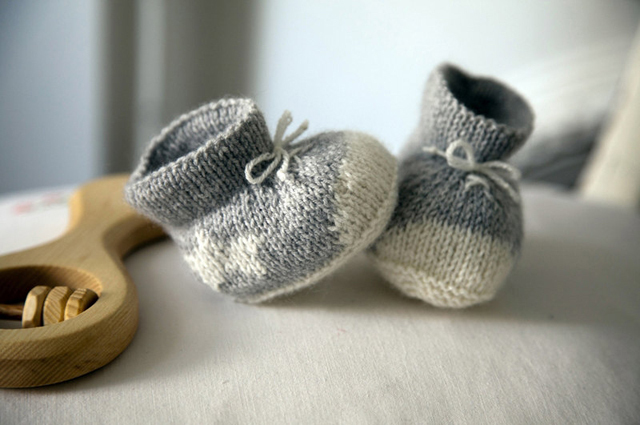 How delicate and cute are those booties and cardigans to welcome a new baby to the world, especially if the world is in the middle of the coldest winter? Fall in Lo creations, sweaters, booties, hats and mittens, are all hand-knit and hand-sewn with the softest angora and cashmere wool. 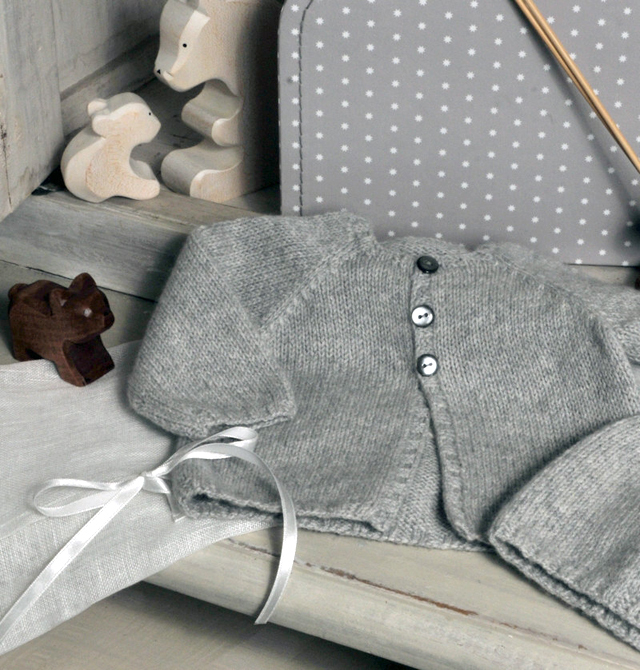 A small, but very tasteful collection in gray and ivory, with items that can also be mixed and matched to create gorgeous sets, perfect as a baby's first outfit, or a baby shower gift. Each item is wrapped in a white linen bag with a satin ribbon, shipped from France and ready for gift giving... How sweet!! Fall in Lo designs available here. 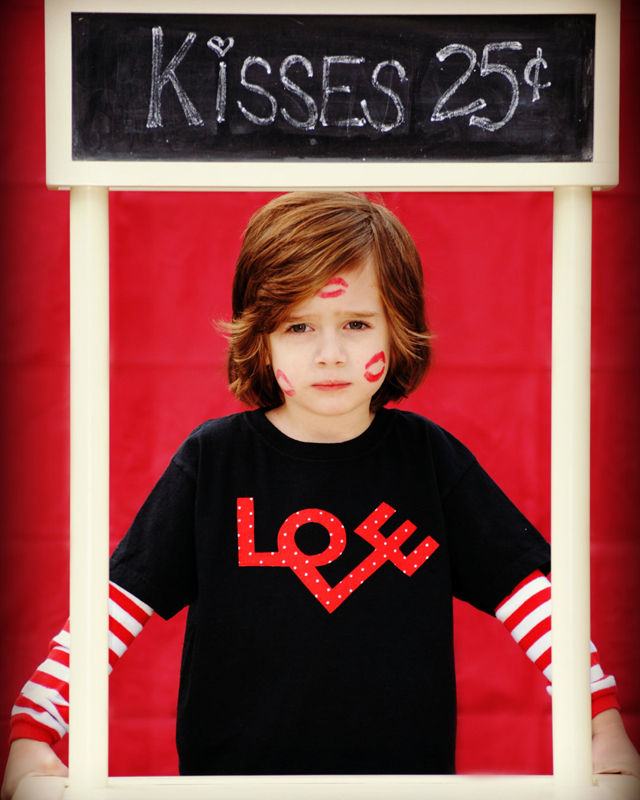 All pictures provided by Fall in Lo from Leslie L.
Valentine's Day is getting closer and with it, the kids' parties at school, baby's first Valentine's, pictures for the family... It gets busy and finding a nice, theme-related outfit is not always an easy task to achieve, especially if we leave it for the last minute. 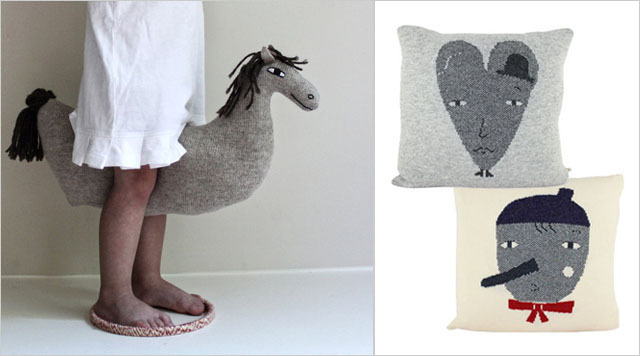 Cute, handmade, creative? ...How could I resist? Among the so many options, "Once Upon a Story" tees really cought my eye. 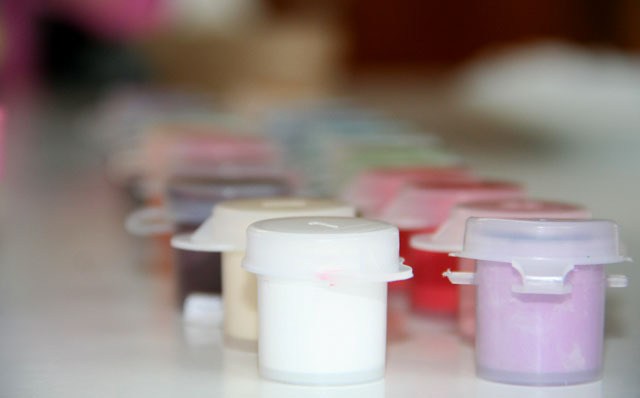 They are colorful, fun, and mom-made with love. 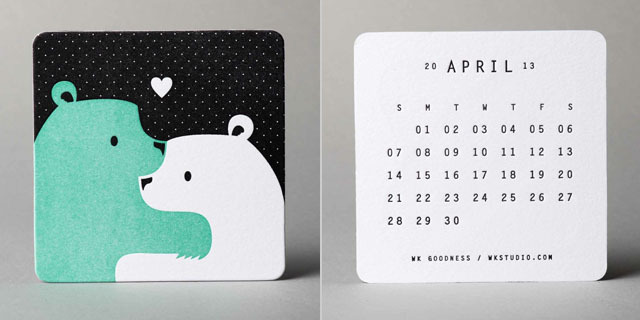 All designs are hand cut, heat fused, and hand stitched for extra durability, with a vintage look. 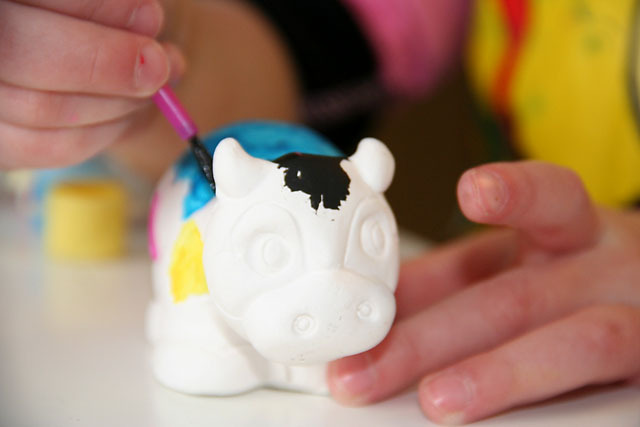 Perfect for toddlers and young kids, some of these creations are also available in baby and adult sizes. 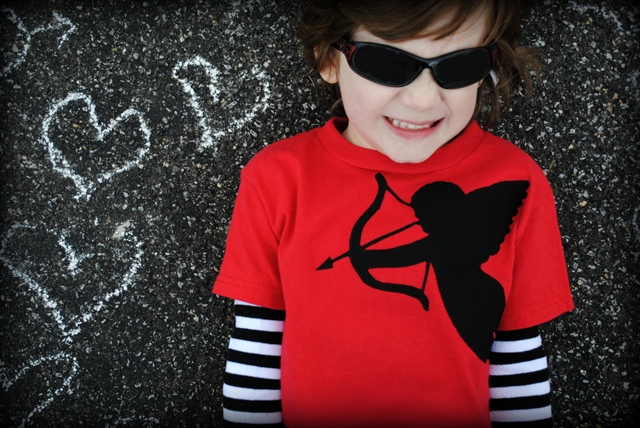 So, head over to "Once Upon a Story" Etsy's shop, and give yourself enough time to get your tee before Valentine's Day. Each t-shirt is made to order and takes about 10 days to ship. Once Upon a Story tees available here. All pictures, courtesy of Once Upon a Story. Love at first sight!! 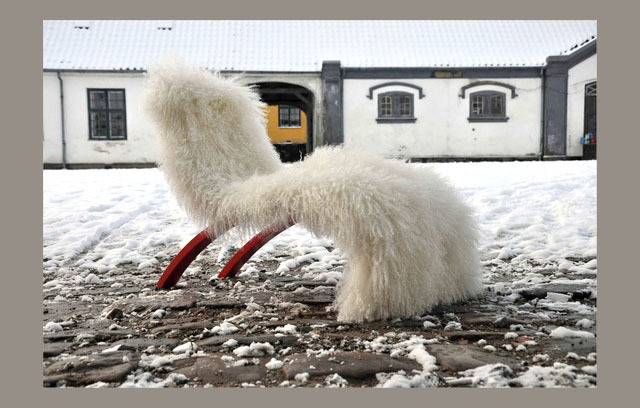 That was my connection with these chairs the moment I saw them... Scandinavian style at its best, modern, creative, yet so simple, perfect for children. Utzon Kids, an innovative Danish design studio, is the progenitor of the Wave Chair, a lounge seat for little ones, ages two and up, that also makes a fantastic piece of decoration for their room. The Wave Chair is delicately crafted using high quality wood, either maple or walnut for the frame, and upholstered with exclusive textiles designed by well known names in the market. Favorite in this collection, the Hygge, a Danish term that means getting cozy and spending a nice time with friends and family. Definitely, a chair with a top made of soft Tybetan lamb wool and a vibrant red frame has to be cozy and snuggly. The Sigge also made it to the top of my favorite list. 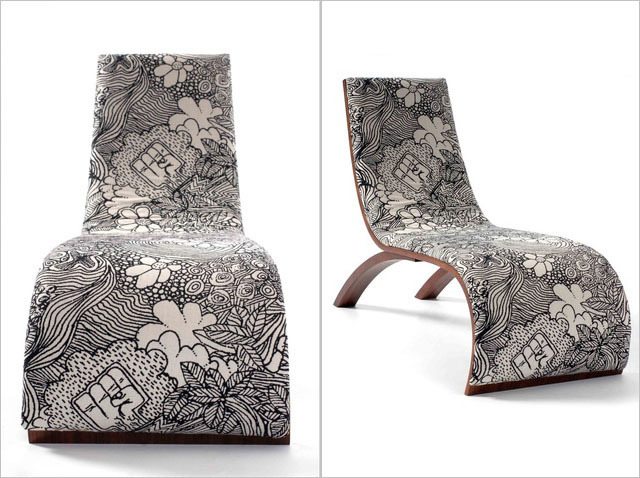 The stunning black and white fabric, replicates a floral motif hand-drawing with a sophisticated touch of street art... Lovely!! Good news, Utzon Kids Wave Chairs are available and free delivered all over the world. Wave Chair by Utzon Kids available here. 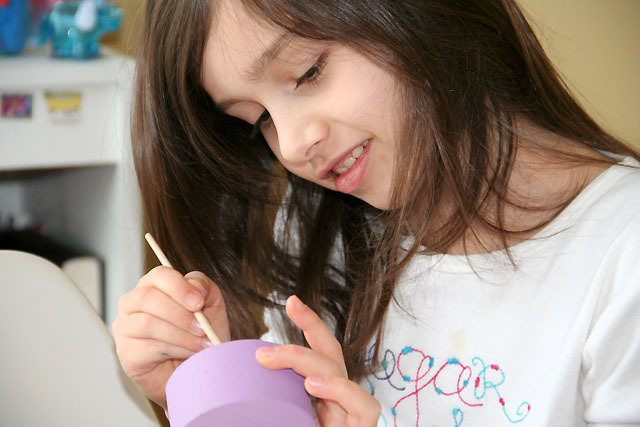 Color Recreation: We Do Crafts and Eat Cake on a Snow Day!! So far, this winter has been a little confusing... One day we freeze in a twenty degree weather and the day after, we are blessed with a fifty degree break... Two days ago, snow was not in my radar at all, I hadn't even checked the weather forecast in a couple of days, but a very early phone call yesterday, reminded me that this is New York, and you should never stop following the actions of mother nature. Schools were cancelled for the day, and as I was getting to the window to confirm what had happened, I could see the brightness coming from outside... Everything was white, white, white!! ...Our street wasn't even plowed and the inevitable thought started to fill up my mind... How do I entertain my girls all day, while I work? Honestly, at their age, ten and six, they can find things to do on their own. The problem is that I wonder if they would do something that doesn't imply keeping their eyes glued to a screen for hours. Of course, my schedule changed completely. I hurried. I got some things done, left others for tomorrow, and made a decision. I wanted to have fun with my girls on a snow day, and I mean fun indoors, at home, not rushing to go anywhere, not doing homework, not getting dressed and putting make-up on. 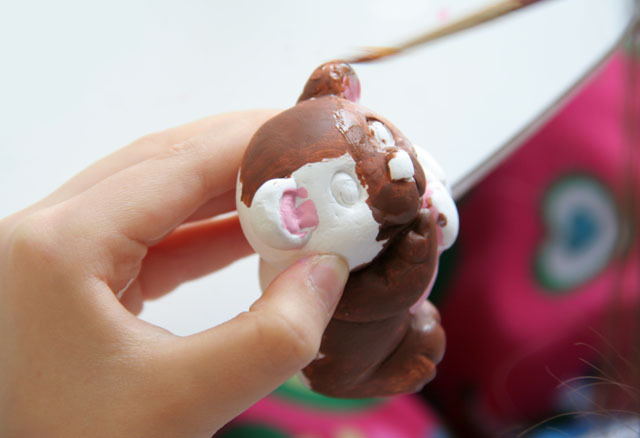 I wanted a day in pijamas, doing crafts, reading stories, drinking hot chocolate, and eating cake. ...And, so we did!! We got a bunch of paint, markers, brushes, and craft kits that had been in our drawers forever. The girls got inspired and I didn't even try to get fancy looking for a fabulous recipe to make cake. I just went straight to the pantry and pulled a safe box of super moist Betty Crocker Mix... No stress, no worries!! We really enjoyed an awesome day, a wonderful time to remind me that once in a while, it is good to shut the door on the world and let it spin out there, while we give ourselves a chance to enjoy childhood, hot chocolate and cake. The new year brings a strong desire for renovation to many of us, an impulse to change our surroundings, even if it is just a little bit... Kids' bedrooms are always included in my list. Little ones grow up so fast and switch their preference for themes and colors so often, that also their bedrooms need to be transformed at the same pace... Don't you agree? Thinking about those changes, the whimsical creations of Colette Bream came to my mind... What a perfect time to share her designs!! 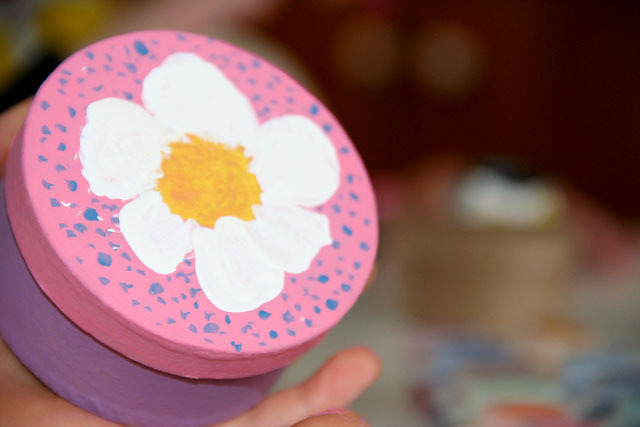 Like many creators of wonderful things for children, Colette Bream, an artist born and raised in Europe, now living in the US, found her inspiration through her daughter. 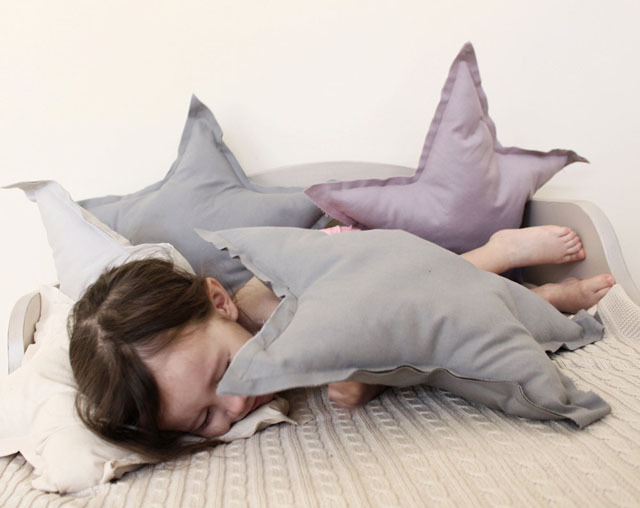 An urge to build a nest for her baby, free of plastics and polyester, filled instead with simplicity, innocence and colorful accessories, motivated the birth of her line of bedding sets, pillows, blankets, and fanciful characters that look like they just jumped out of a children's book. 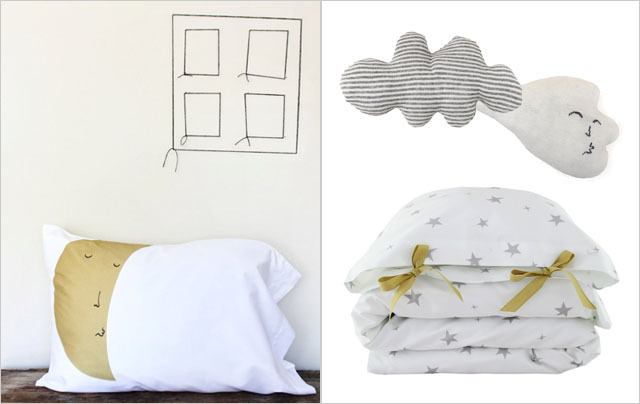 Adding more goodness to these beauties, it is nice to know that all Colette Bream's designs are hand made in the USA with natural materials, 100% organic cotton is used for the bedding sets, as well as 100% lambswool for blankets and pillows. I am particularly in love with the idea of creating a bedroom among the stars, with good-night kissing clouds and windy-wind pillows. Pinocchio, Harry the Heart and the Little Horse could also join the sky scene to complete a magical touch... Imagine how creative a child can get in a room like that!! 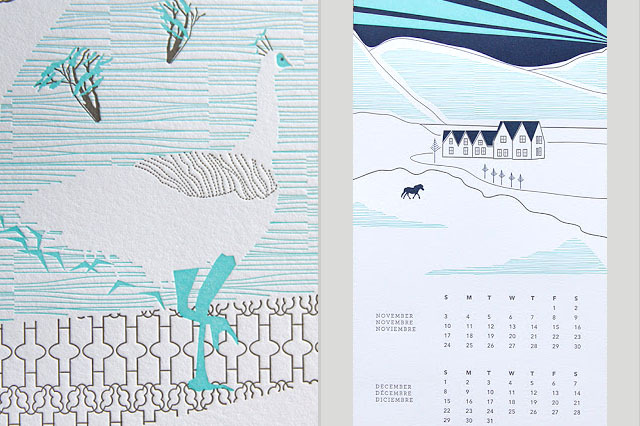 Colette Bream's designs available here. All pictures provided by Collete Bream's website. Happy, Happy New Year 2013!! Happy New Year, friends!! Feliz Ano 2013, amigos!! Felice Anno Nuovo, amici!! Wow!! Everything happened so fast... Christmas came and went, New Year's Eve came and went, a short vacation came and went, and here we are, a week after the beginning of 2013 with all of our resolutions ready, reenergized, and positively believing that "the best is yet to be". Despite the exhaustion I'm always left with after the holidays, I like the process of renovation of myself inspired by the new year, that call for inner examination, the desire to improve, and the commitment to change and become a better human being. Of course, I never stick to all of my resolutions, but I have to say, every year some bad habit or ridiculous routine leaves my life for good and a new, positive discipline takes over to remind me that for us, human beings, anything we wish is possible. 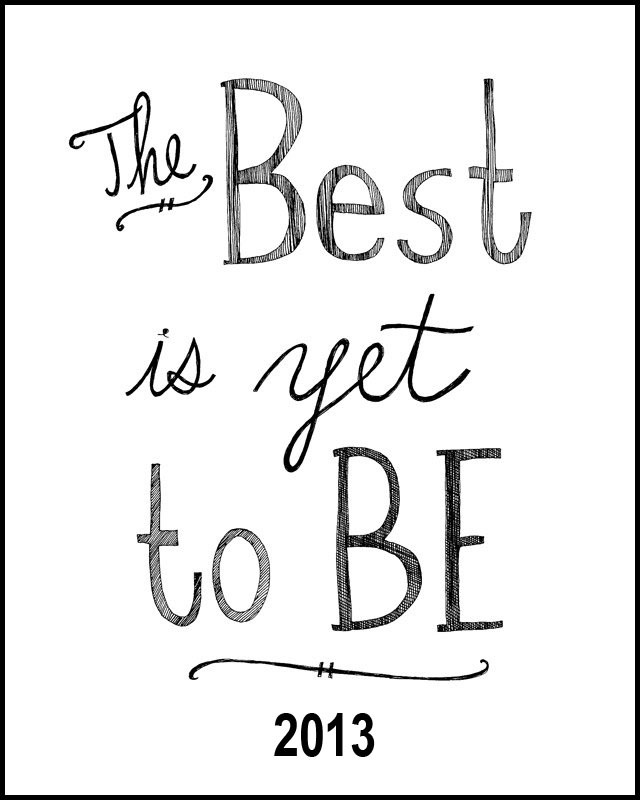 Anything we focus on, anything we work hard on will lead to good results, maybe to the best year ever. Before my days get busy and crazy as usual, I'd like to take a minute to wish you all an abundance of health, perseverance and clarity to succeed in 2013!! ... Cheers to a happy, healthy, and prosper new year! !